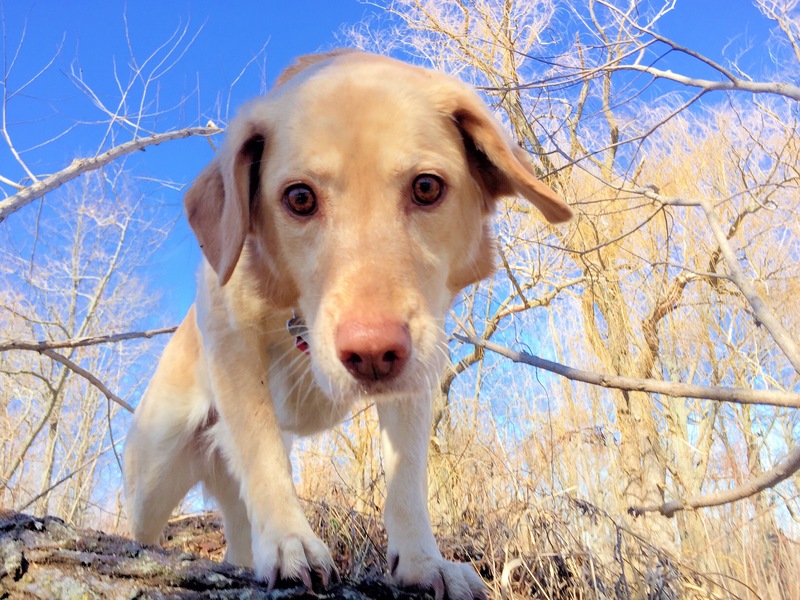 A newly appointed partner at Kirkland & Ellis, Ana lives in Chicago with her loving husband, Dan, and sweet labrador mix, Hazel. This is the journey that has led her to be a successful Latina professional in the United States. NENANI: Had you thought about moving to the U.S. when growing up? AS: My parents are both doctors. When I was eight years old, my father received a Fulbright scholarship for a post-doctorate degree in microbiology and molecular biology in Boston, Massachusetts. My mother, my sisters, and I accompanied him during his year of studies, and my mom joined a hospital in Boston, where she received further training in her specialty, pathology. During that year, I attended an American public school and learned to speak English. Our year in the United States shaped our family and my life in many ways. I developed a high esteem for the U.S. education system and always thought about returning to study again. My plans, however, did not involve a permanent move. I did not think about a permanent move to the United States until later in life. NENANI: When did you decide to move to the U.S.? AS: As a teenager, I developed an interest for traveling abroad and being part of different cultures. I was especially interested in the idea of living in New York City or Paris. I pursued that interest as soon and as often as I could. After finishing law school in Ecuador, I travelled to Strasbourg, France for a course on human rights. In 2006, I spent a year in Montreal, Canada pursuing a Master’s in Law degree at McGill University. At McGill, I discovered the broad variety of financial transactions that lawyers in developed countries are able to work on. The complexity of the concepts and structures of these transactions drew me in, and I fell in love with the idea of pursuing a career that allowed me to be a part of them. And so I began looking for a temporary job in the United States. One of my sisters was living in Boston at the time and my French needed work, so I thought that coming to the United States would bring me closer to my family and also to a more promising career than in Canada. Finding a position with a Master’s degree from Canada proved difficult, partly because to practice as an attorney in the United States (and in mostly every country) one must be licensed to practice, and to obtain that license, a law degree from a domestic institution is generally required. That is when I decided to move permanently to the United States. I reflected that if I wanted to be part of the transactions I found so intriguing, I needed to obtain a law degree that would allow me to obtain a license and practice permanently in any state in the United States. I wanted to attend the best school I could to increase my opportunities of landing my dream job. I was accepted by Northwestern Pritzker School of Law in Chicago in 2009. Obtaining a law degree in the United States involved sacrifice, personal and financial. I already held a law degree from an Ecuadorian university and a Master’s in Law from a Canadian one, but had to attend law school as if I had never done so before. The courses were challenging not only because of the technical language and the demanding nature of the school but also because of the foreign legal concepts I encountered. It was also a financial effort, as I financed my education through loans. When I finished law school, I landed a job as an associate in a large New York law firm and fulfilled my dream of living in New York City for almost two years before returning to Chicago where I currently reside. AS: I currently am a partner at Kirkland & Ellis LLP, a large international law firm with its main office in Chicago. I have six years of experience in capital markets transactions. My practice involves me in a wide array of capital markets transactions, including initial public offerings, public and private follow-on equity offerings, investment-grade debt offerings, and high-yield debt offerings. As I mentioned earlier, I obtained a law degree in Ecuador, then completed a Master’s in Law degree at McGill University, and finally obtained a second law degree from Northwestern Northwestern Pritzker School of Law in Chicago. Before coming to the United States, I practiced law in Ecuador for several years, first as a legal aid to a Congresswoman and then as an in-house counsel for an international telecom company. My experiences in Ecuador prepared me for my current profession principally by teaching me how to work successfully in a diverse environment and to take advantage of the offerings of different team members. Ecuador is a small country, but its population is very diverse, and in the workplace you often meet people with very different economic, social, educational, and cultural backgrounds. Being able to share work experiences with many different types of people in the early stages of my career in Ecuador has been fundamental to my adaptation to the work place in the United States and to enriching my ability to work in supervisory and leadership positions. AS: My main contribution to the community and the country is through my profession. As a capital markets transactional attorney working for a large law firm, I have had the opportunity to work with many American companies raising capital to grow their businesses through acquisitions, investment in new property, and other initiatives. I also have helped to facilitate various initial public offerings, through which American companies seek to multiply and diversify their investors and transform themselves into larger or more complex businesses. I am proud to provide these clients with quality work and advice and feel that while doing so, I am contributing to a healthy economy. In addition, I have had the opportunity to work with pro bono clients, including undocumented immigrant children. Through my work, these children have been able to avail themselves of the protection of certain U.S. legislation that they would otherwise not have had access to. I also believe that I contribute to my community through good citizenship. I am deeply concerned with the use of animals for food and clothing and in the entertainment and cosmetics industries. I have taken significant steps in my life to avoid using products that contain animal ingredients or imply the suffering of animals and to support causes and institutions working to improve the lives and treatment of animals, such as Woodstock Animal Farm Sanctuary in upstate New York. I also make efforts to contribute to the regeneration of the planet by consuming more consciously, managing my production of waste, and supporting environmental initiatives. NENANI: Why have you decided to stay in the U.S.? AS: I decided to stay in the United States mainly because of the intellectual challenges that practicing law here provides me. Had I stayed in Ecuador, these challenges would not be available to me, and I believe that I would not be growing professionally at the rate I feel I am growing here. In my profession, I have not been given any advantages over any of my peers due to my ethnicity or background. I have been asked to produce the same quality work at the same speed. I feel that has doubled the challenge but made it so much more rewarding. Further, I find that the United States provides an environment where I can practice my ethical principles in a meaningful way and meet people who share my values. Finally, I also built a family in the United States, and although I love and miss Ecuador, I feel now that I am at home. NENANI: You have a passion for animal rights. Can you describe how this came about and how you express and live this passion? AS: When I was studying in Montreal, I went to visit my sister, who lived in Boston at the time. We were in the mood for ice cream and went to an ice cream shop. When we came out, we ran into an activist who was distributing literature on the treatment of cows in the dairy industry. We were immediately struck by our findings and began our own research. Not long after that, I became a vegetarian. Later, as I learned more about the treatment of animals in different industries, the choice became clear, and I decided to stop using animals and consuming animal products. During six blissful years as a vegan, I have felt more connected to animals and the planet, and I feel I am making a difference where I can. I educate myself as much as possible to be able to speak with knowledge when someone inquires, and I gladly educate others when people want to know more about animal rights and how to effectuate a change. NENANI: What advice would you give to other Latina professional women, whether coming from Ecuador or already in the US, to grow in her career? AS: I would advise them to dream big and then to make practical plans about how to make those dreams come true. Success will require work, dedication, and risk-taking. For example, you may need to reenter the education system, as I did, and invest in that education, personally and financially. I would tell them to be the best they can be at what they do and to do the things they can in the best possible way. You may not know how to do everything or have answers for all questions, but for the things you do know how to do and the questions you have answers for, do them in the best possible way. I believe Latinos have great work ethic, and I also believe it is important to show it. Most Latinos come here looking for a better situation, and we are willing to work hard to achieve that situation. I would also encourage them to be themselves. They will be different from others in their field, and it is smart to use those differences in their favor. Finally, take risks; push yourself to do new things, difficult things. If you fail, write down the lessons and move on. AS: I do not know where the roads will take me. I may end up back in Ecuador in the long run. But for the time being, I feel that I have made my home in this country. I have felt welcome and I try to give back and reciprocate its warm treatment as best as I can. Thank you Ana for being you!